Carlow County Council has engaged with the local 13 guilds of the Irish Countrywomen’s Association to participate in the Stop Food Waste Challenge. 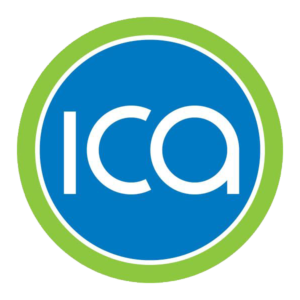 The ICA is the largest women’s association in Ireland, with more than 10,000 members and over 500 Guilds across the country. The Carlow Federation was founded in 1956 and currently has 13 guilds. This group is recognised an integral and influential part of urban and rural community life in Carlow. Following a meeting with all of these guilds in relation to waste and in particular food waste, the ICA agreed to undertake training in order to deliver the Stop food waste programme among their guilds and their communities. The ICA were keen to participate in this pilot project which can now be presented as a tried and tested package to An Grianán (National Umbrella Body for the ICA) and used as a template for engaging the circa 10,000 members nationwide. The initial training (of two women per guild) was carried out with support from CTC and with Betty Kehoe facilitating. These ICA members then went back to their own guilds and initiatied the Stop Food Waste Challenge there. Results and feedback of the training and the potential to be rolled out nationwide has been recorded and will be presented to LAPN. The project was also widely disseminated in Carlow using social media, local radio, and the Carlow Nationalist. Further potential roll out may be possible via the Carlow PPN which has over 350 members acrosss the county. Further linkage is also underway with the many local, Regional and National Groups to which the ICA are currently linked to such as Carlow Women’s Network, Go Léir Women’s group, IFA, etc.